Stazione Zoologica di Napoli "Anton Dohrn"
More than 50 years ago, Armando Sabbadin introduced at the University of Padova (Italy), the colonial ascidian Botryllus schlosseri, setting up conditions for its permanent rearing and founding the first lab of this species in the world, located in the Institute and Museum of Zoology and Comparative Anatomy from 1952 (via Loredan 10), then named Institute of Zoology, Comparative Anatomy and Genetics from 1964 to 1968 and Institute of Animal Biology from 1969 and finally, in the Department of Biology, after its establishment in October 1983, where it is at present. Attracted by the fascinating colonial life cycle of this ascidian, he spent about five years in studying its biology in laboratory and in the field, laying the foundations for future studies and producing a series of papers, mainly published in Italian, containing the evidences of many statements that are now an acquired background for researchers. These papers account the value of the staging method introduced by Berrill in 1941 for B. schlosseri and then modified by Sabbadin in 1955, evidencing the relationships between bud growing and water temperature. They state the regulative ability of colonies, able to survive under adverse environmental conditions and to rescue development when conditions improve. With various experiments of repeated bud extirpation, Sabbadin evidenced competiton between right and left buds for both sexual and asexual reproduction. 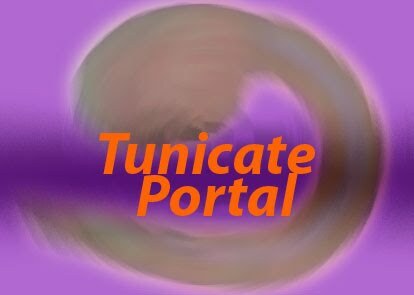 Moreover, he studied the role of the colonial matrix in vascular budding and in the development of isolated buds, the efficiency of autofertilisation as compared to cross fertilisation, the genetic basis of chromatic polymorphism and uric acid as the content of circulating nephrocytes. Sabbadin was also a pioneer in immunobiological studies of tunicates. He published the first detailed description of the morphological features of the haemocytes of B. schlosseri. He demonstrated that a single genetic locus controls histocompatibility (fusion or rejection between contacting colonies). Fusion leads to the formation of chimeric colonies and the transmission and exchange of germ stem cells between fused colonies. Sabbadin recognised in this aspect, in particular, the adaptive value of coloniality. On the other hand, he demonstrated the role of morula cells and of the enzyme phenoloxidase in the rejection reaction, which leads to the formation of necrotic areas along the contacting ampullae between genetically incompatible colonies. The removal of the ascidian lab from the Institute of Animal Biology to the Department of Biology occurred in 1988 under the supervision of Prof. Paolo Burighel as Director. In this new building, Sabbadin and his disciples, affiliated researchers and technicians established in 1990 a new research unit represented by Prof. Paolo Burighel, Prof. Giovanna Zaniolo, Prof. Gianbruno Martinucci, Dr. Loriano Ballarin, Mr. Antonio Tontodonati, Mr. Marcello Del Favero. Numerous PhD students, research fellows and internship students also share the activities of the lab. Emeritus Professor of Comparative Anatomy at the University of Padova. Born in Limena (PD) on December, 21th 1920. Student of the Padova University, because of his military service from March, 1941 to August, 1945, he got his degree in Natural Sciences in Naples in 1944 according to the instructions during the war period. He taught in secondary schools from 1945 to 1950. Assistant Professor of Zoology from January 1951 and of Comparative Anatomy from 1952. He taught this latter subject as teacher on contract from 1952/53 and as Full Professor from December, 15, 1960 to his retirement in 1991. Teacher of Experimental embryology from to 1964 and of General Biology and Zoology for the Medical School from the academic years 1964/65 to 1973/74. Director of the Institute of Animal Biology in the biennium 1964/65-1965/66 and of the Marine Station in Chioggia (Venice) from 1966 to 1980, where he also replaced and began to restore the historical marine zoological collection now located in Palazzo Grassi (Chioggia) as the Museum of Adriatic Zoology "Giuseppe Olivi". President of the Teaching Council of the Degree in Biological Sciences in the triennium 1993/94-1995/96. 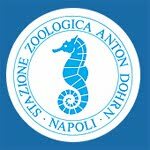 Visiting professor at the Stazione Zoologica in Napoli and the Oceanographic Institute in Monaco. Awarded a six-month grant from the Italian CNR (November 1956 - July 1957) for researches at the International Embryology Institute, Hubrecht Laboratory in Utrecht. His research activity began with the study of gonadogenesis and sexual differentiation in amphibians, under the supervision of Prof. E. Vannini, and he confirmed the role of interrenal in gonadal development in Rana dalmatina, where all the tadpoles develop female gonads and, only at the metamorphosis climax, in genetic males, the gonad turns to a testis. Sabbadin demonstrated that antithyroidean compounds delay this inversion in parallel with the retardation in metamorphosis and that extirpation of the pituitary gland, in embryos, delays the inversion up to three months after metamorphosis. In 1952, he established a laboratory for research on Ascidians (Protochordates) in Padova, up today in activity thanks to his disciples and his disciples’ pupils, carrying out researches in Morphology, Ecology, Evolutionary Biology, Comparative Immunobiology.This laboratory absorbed all Sabbadin’s successive research activity mainly focussed on the colonial species Botryllus schlosseri. He has been honoured in the tunicate name Clavelina sabbadini Brunetti, 1987. He died in Padova on February, 19th 2016.